Ford's�all-new Focus RS has proved extremely popular with UK car buyers, racking up 1,500 pre-orders before any test drives have even taken place. The specifications and price of the hot hatch were announced at the Frankfurt International Motor Show, which took place in September. Previous to the show, 500 orders had been placed, a number that increased three fold following the spec reveal. 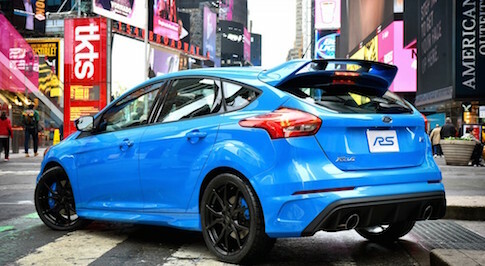 The Focus RS boasts a top speed of 165mph, which will make it the fastest accelerating model to wear the famous RS badge. Under the bonnet, there is a specially engineered version of Ford's new 2.3-litre EcoBoost engine that can deliver a power output of 350PS. Andy Barratt, Ford of Britain chairman and managing director commented: "These enthusiasts are taking great care in building their optimum specification. We expected those first in the queue, many of whom are owners of previous RS models, to be exacting about their requirements, and so it has proved, with many opting for motorsport-style Recaro shell front seats, 19in black forged alloy wheels, luxury pack, electric tilt/side sunroof and Ford SYNC2 navigation and sound system." The new model, which comes in five different colour options, features an extensive range of high-performance technology, including Ford Performance All-Wheel Drive with Dynamic Torque Vectoring and Launch Control technology which delivers 0-62mph acceleration in just 4.7sec.